It is “entirely unacceptable” to expect public sector employers to subsidise low-level apprenticeships for chefs and hairdressers, a university membership organisation has said, calling on government to better support levels 6 and 7 instead. 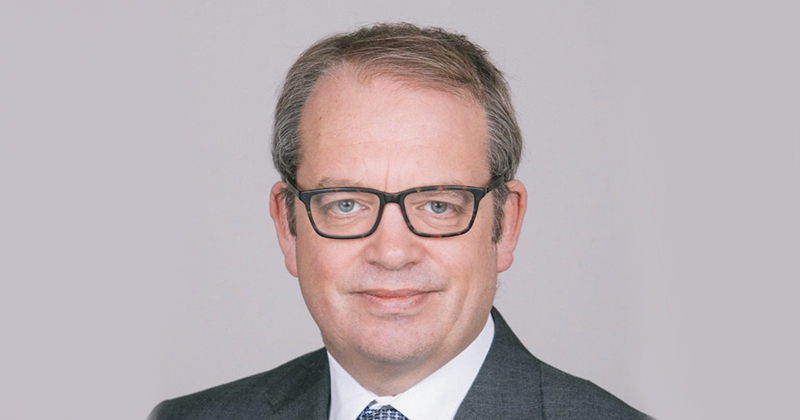 Adrian Anderson, chief executive of University Vocational Awards Council, the body that represents over 90 universities delivering apprenticeships, said the decline in level 2 apprenticeships was “welcomed” as he believes these are “not what employers are looking for”. The statement comes as the Association of Employment and Learning Providers called for all levels 6 and 7, including those with integrated degrees, to be removed from the scope of levy funding in order to prioritise low-level funding as pressure on the budget mounts. In a letter sent to skills minister Anne Milton ahead of spending review decisions, Anderson argues that prioritising lower level apprenticeships would “run counter to the concept of employer leadership” and “entirely undermine” the productivity and social mobility objectives of the apprenticeship system. “I doubt our international competitors are focusing their skills budgets on low-level apprenticeships [like these],” he added. Anderson explained that the public sector is “by far the largest levy payer” and the NHS, police forces and local authorities “must be allowed to spend ‘their’ levy payments on occupations that have the most impact on the delivery of public services, e.g. police officers, registered nurses, social workers”. UVAC suggested that levy payments made by the public sector should be “ringfenced” and public sector employers should be “able to recover the full cost of using apprenticeships for the occupations (from level 2 to 7) they need to deliver high-quality public sector services”. Anderson suggested other changes to the current “incredibly generous” funding system, including by significantly increasing employer co-investment for lower level apprenticeships and reducing the state’s contribution to around 75 per cent. The radically differing proposals from the AELP and UVAC come after the National Audit Office said there is a “clear risk” the apprenticeship programme is not financially sustainable after finding levy-payers are “developing and choosing more expensive standards at higher levels than was expected”. Prior to this, the Institute for Apprenticeships and Technical Education estimated that it could be overspent by £0.5 billion this year, rising to £1.5 billion during 2021/22. The AELP estimates that up to £573 million has been committed to level 6 and 7 apprenticeship starts since August 2016, and suggested these should be funded by employers, a student loan to the apprentice, and any government grant which is available to full-time HE students. “What the AELP is saying is that it doesn’t believe that the NHS should be able to recover the levy payments that they need to train registered nurses, or police forces to train police constables, because they think that levy should be prioritised to level 2,” Anderson told FE Week. “It seems very odd to me. In my perspective, the level 2 area is what the schools system should be concentrating on. The fact that we have a third of young people completing compulsory education after 11 years without a level 2 qualification is appalling. A DfE spokesperson said: “Overall the number of people starting on lower level apprenticeships accounts for over 81 per cent of all apprenticeship starts. We want to make sure all these people have the chance to progress to however far they want to go.